Receiving a DUI charge can be a life-changing experience. 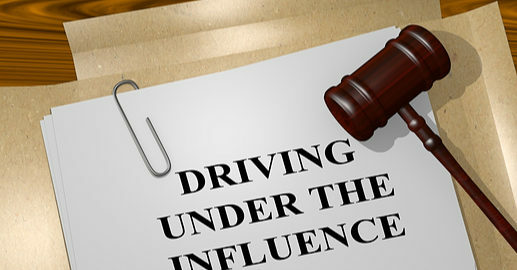 Statistics indicate that more than 30,000 individuals each year are arrested in Illinois for DUI charges. Although nearly 90% of these arrests are first offenses, the penalty for a charge of this type can be steep without the help of an experienced DUI attorney in Peoria, IL. At Brave Law Center, P.C., we’re committed to providing you with the support, assistance, and answers you deserve. A common misconception about DUI charges is that they only apply to those under the influence of alcohol. While it’s true that alcohol receives more attention than other substances, any substance that affects your decision-making ability can contribute to intoxication. These can include prescription drugs, marijuana and other controlled substances. Unfortunately, many individuals facing non-alcohol DUI charges don’t realize that a DUI attorney in Peoria, IL can help with their cases as well. Brave Law Center, P.C.’s team works with a variety of DUI cases in the Peoria, Morton, Washington, Bloomington, Pekin, Eureka and Canton, IL communities. First offense – For those unfamiliar with Illinois’ DUI laws, a first offense may seem like the end of the world. With years of experience helping those with DUI charges, we’re here to tell you it’s not. At Brave Law Center, P.C., a DUI attorney in Peoria, IL may be able to help you avoid jail time. Repeat offense – More than one DUI offense can lead to license revocation and jail time. Brave Law Center, P.C.’s team may be able to help individuals who are charged as repeat offenders gain license reinstatement and access to safe driving courses, and avoid jail time as well. Being charged with a DUI doesn’t have to be frightening. At Brave Law Center, P.C. we treat you with respect while guiding you through the complicated process of exploring legal options. Contact us today for professional assistance from a member of our team.